Most Americans – me included before I moved here – have a difficult time reading British “class” through accent and its other accoutrements. Sure, there’s My Fair Lady cockneyism on the one side and chinless Royal Familyism on the other, we can detect that, but between lies just a fast undifferentiated middle. Which of course not how British people hear it, not in the least, as they sniff each other out with the subtle discernment of dogs testing each others’ asses. But on the other hand: Americans are completely indiscernable to Brits as well. They can’t detect the subtle differences of speech and gesture that mark the well-born or earned-through from the other sorts, and all the complicating and obsfucating play that goes on in between. But whereas Americans default to “rich and polished” when they hear Brits, I think Americans are assigned a lower and more ambiguous place in the eyes of my hosts here. 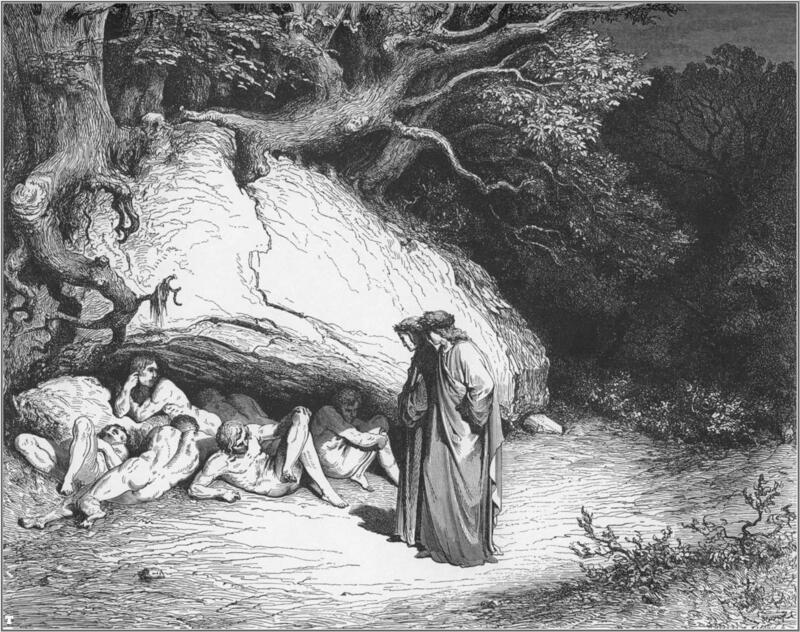 The best analogy I can come up with for where we are placed is the way that Dante handles the virtuous non-Christians in Inferno. Greek philosophers and the like aren’t mixed into the bottom, not quite, but they don’t quite merit the middle berthing either. They are placed in Limbo, for lack of anywhere else to settle them – technically in the game but ultimately not really.